Quite possibly considered the finest short solo works ever crafted, the Nocturnes by Frederic Chopin are 21 short piano solo pieces that were written between 1827 in 1846. Frederic Chopin did not invent the nocturne, but he did increase its popularity, by building on the form developed by his idol, John Field. The first 18 nocturnes were published during Chopin’s life, with nocturnes number 19 and 21 published posthumously. The 20th solo was not even given the title of nocturne originally, but was included as such in 1870. Despite Chopin’s nocturnes being similar to the doctrines of Field, Chopin still maintained a unique and distinct sound of his own throughout. The nocturnes that Chopin wrote were similar to those of Field, because of the melody in the right hand. This is one of the most vital features of any nocturne, along with the left-hand acting as the rhythm section, by playing numerous broken chords while the right hand plays the melody. This allowed a stronger and more intense emotional feeling within the piece, enchanting the listener even further. Another technique that was used by John Field, and that Chopin expounded on, was the use of the pedal in the nocturnes. Throughout this extensive use of the piano pedals, Chopin furthered the emotional intensity within each piece, through sustained notes and expression, providing the feeling of an unfolding drama. Although these were the primary attributes of John Field’s nocturnes, they still truly and deeply inspired Chopin, encouraging him to expand upon them and create his own nocturne. Chopin’s expansion on Field’s nocturnes also included using a more free-flowing rhythm. This technique is strongly rooted in the classical style, but Chopin used this classical feel and furthered it in the structure of his nocturnes, by using inspiration and he felt from sonatas, as well as Italian and French operas. Famous composer Franz Liszt felt that the Chopin Nocturnes were strongly influenced by bel canto arias, which was vehemently echoed throughout the musical world. An additional innovation in Chopin’s nocturnes was his ability to use a counterpoint to promote tension within each solo. This further expounded on the drama and the unrest within the piece. 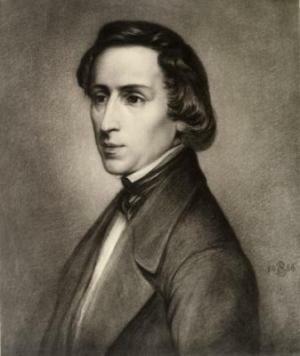 Although many people think of Chopin’s nocturnes as a combination of John Field and Wolfgang Amadeus Mozart, Chopin made his own mark in the musical world through his complex, deeply feeling, free and operatic nocturnes, and by combining form and structure of classic and romantic themes, Chopin reinvented the nocturne.